DONE! 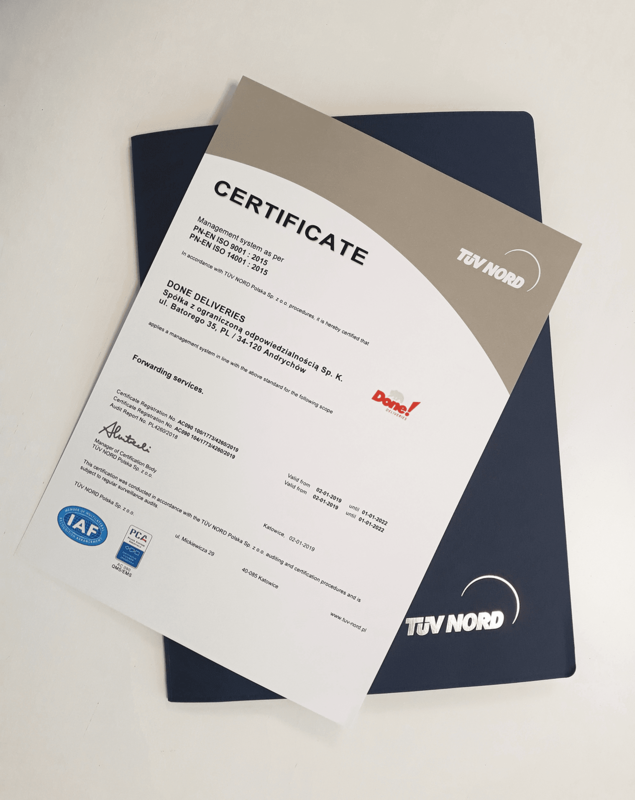 Deliveries with ISO 9001 and ISO 14001 certificates. Our company got ISO certified again. Our 120 employees are working very hard to improve our standards and it has paid off once more. We care about quality and international norms. Another year of our operation was successfully closed with ISO 9001 quality management system standard certification as well as ISO 14001 environmental management system certification. We are a modern and pro-ecology transportation company and all the time we keep working on further development of our service quality as well as continuous operation always in line with all environmental and safety management regulations. ISO 14001 certification enables us to grow with consciousness of our responsibility over natural environment protection. ISO 9001 standard supports our monitoring and managing quality of our processes throughout the entire organization. 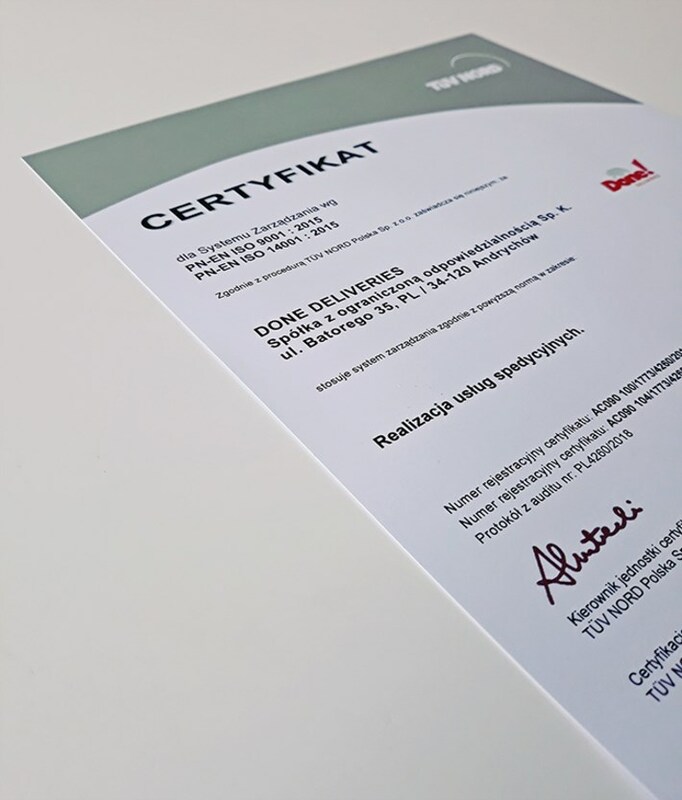 We are very glad that our customers and partners recognize and enjoy our high-quality service standards – now also supported by ISO certification.